Construction is hard work. Contractors work long hours and partake in extremely physical work to provide us with the buildings and infrastructure we use on a daily basis. Whether it’s our office building, roadways or the home we return to after a long day’s work, we can thank a construction team. If you’re a contractor yourself, you know what working at a construction site entails. You also know how important it is to have a safe, efficient site. Without a safe environment for workers, injuries could occur and work could get slowed down. Both of these occurrences can be eliminated through effective construction site signage that alerts both workers and the public of dangerous conditions. There are multiple types of construction signs that can aid in creating a safe site. Even without construction, roads are dangerous to begin with. When construction and road improvements take place, this only further necessitates the need to alert drivers of hazards in the form of abnormal road conditions and construction workers who are in harm’s way. 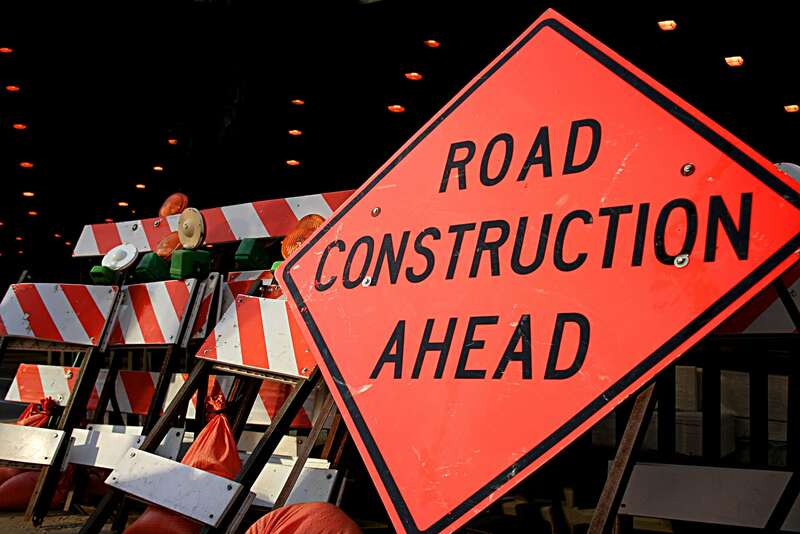 Signs alerting drivers of road construction, construction workers and potentially dangerous road conditions are vital to not just the safety of construction workers, but the safety of drivers, as well. Construction sites, both on the road and at traditional sites, can be quite dangerous. Unfinished structures, heavy equipment, dangerous tools and precarious conditions can present a series of dangers to workers, making it vital that workers are notified of potentially harmful conditions around the site. Danger signs and caution signs can help alert workers of perilous conditions. There are a variety of signs — often required by federal, state or local laws — that inform workers of safe practices in and around the construction site. Signs requiring people to wear hard hats, safety glasses and other equipment can help prevent serious injuries while those acknowledging dangerous conditions like open pits, electrical currents and falling debris will give workers a sense of what they may encounter ahead. Construction signs often block off normal routes, entrances and exits, altering access to the site. Exit signs help contractors navigate around the site and provide vital information in the event of an emergency. Bartush Signs has been crafting signs for clients all over the United States since 1946. We’ll help you create a safe environment by implementing high-quality construction signs throughout your site. We’ll make sure every sign is in compliance with the Occupational Safety and Health Administration and make sure they also follow any state or local requirements, as well.